Lorella pays a visit to Dragon in his quarters to discuss recent events revolving around Dragon eradicating the millions of Tyrraneans that had been roaming Kalyptus. She cannot fathom just why her lover seems to exhibit no conscience over the deaths he caused or why he seems unfazed by the fact that he will soon be facing his son in blood combat. Dragon dismisses Emperor Krull being a threat to him due to the Krylans all being fairly harmless. Lorella points out that Krull has had the same training that Kurr once had and that he should not be underestimated. 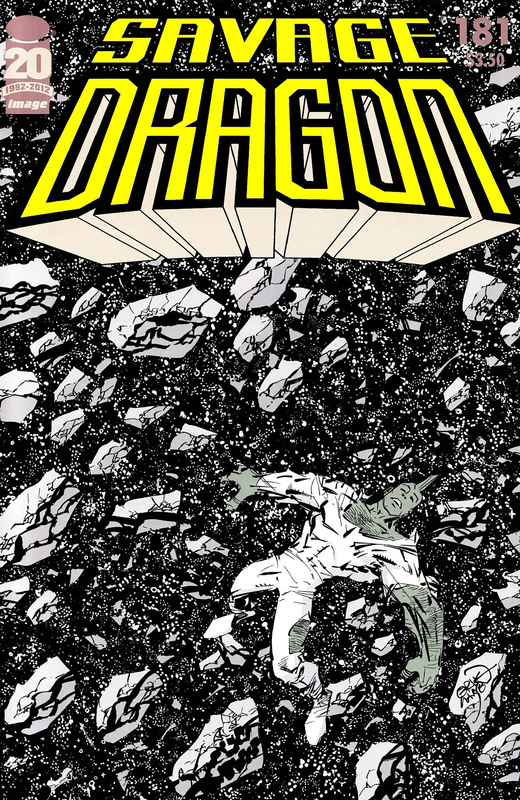 The Krylan population gather in an arena to witness the battle of their Chosen Ones but Dragon immediately demonstrates his superiority in combat. Krull is swiftly and brutally brought down by a series of blows to seemingly defeat him. Dragon then takes this opportunity to address the audience. He cannot believe that the Krylans blindly follow whichever super-powered individual happens to be around at any given point. Dragon talks about how the Krylans’ religion and other beliefs are outdated and should change. Krull regains consciousness and attempts to resume the fight but Dragon effortlessly avoids his attack. He then finally puts his son down for the count but refuses to end his life. Dragon instead declares that they will all go down to the surface of Kalyptus to try and rebuild the conquered planet into a world to call their own. An election will be held to identify the new leader of the Krylans and he hopes that democracy will help reshape their society. Meanwhile on Earth, the death of AllGod at the hands of the air force is reported on by the news media. They repeatedly refer to the fallen deity as being God before a reporter speaks with Battle Girl about the events. Angel reveals that AllGod had been contacted to help defend Earth from the Tyrrus Combine, an assistance that was ultimately rewarded with death when a pilot mistook the arriving AllGod as another new threat. Dragon discovers his true age as being close to fifty before being visited by a now fully healed Krull. The young man thanks his father for sparing his life and Dragon assures him that he is not the blood-thirsty person he is believed to be. He would never have killed Krull over something so pointless but does not feel guilty over avenging the extermination of the Kalyptan people by eliminating all of the Tyrraneans that had been on-planet. The destruction caused on Earth is surveyed by Malcolm Dragon who cannot believe that the planet will ever recover. Rex Dexter reassures the youngster that humanity will bounce back soon enough. The millions that were killed in the few hours that passed during the invasion will be remembered and the survivors will pull together to rebuild their shattered world. OverLord flies over a sea of bodies and destroyed robots before being struck by a rock. Hell Eyes blames him for the deaths of his Vicious Circle colleagues. OverLord warns the super-freak away from further violence against him and Hell Eyes flees for his life. Malcolm interrupts the studies of his step-sister to ask about what nearly happened between them on the day of the invasion. He asks if Angel really meant for them to sleep together but she categorically declares that that was a mistake. She should never have made the proposal but the situation had left her scared and she became desperate. Malcolm walks away and Angel fears that she has ruined her life. After the Krylans’ election results are revealed, Dragon addresses his race as the newly elected leader. He takes the time to berate their blind obedience to their religion and hopes that they can all be good people without having to worry about following religious laws and fearing a terrible afterlife should they behave badly. Dragon then informs Krull that he intends to depart back for Earth as he had not expected to be voted leader again. Lorella makes a last ditch effort to convince Dragon to change his mind but he is positive that she can help the Krylans start a new existence on Kalyptus. Dragon then departs in a Tyrranean ship with DarkLord as his companion but it is not long before DarkLord takes off alone into space. With the invasion over and the Tyrraneans dealt with, Barakkus wishes to head home to Kalyptus to deal with the aliens that have exterminated his people. Vanguard refuses to leave just yet as there are preparations that need to be made. Amok notes that Barakkus is more like the Kalyptans that he had encountered before and that had helped wipe out his own species. Roxanne Wells has been appearing all over the news to give first hand witness statements to the invasion and is down on Earth enjoying her new celebrity status. Lurch notices an object closing in on them at speed as Ethrian blasts his way into the stolen Tyrranean vessel. He had mistakenly assumed this ship to be a final Tyrrus Combine attack and moved to eliminate the threat. Amok and Ethrian come to blows before Vanguard steps forward and calms things down between his two friends. 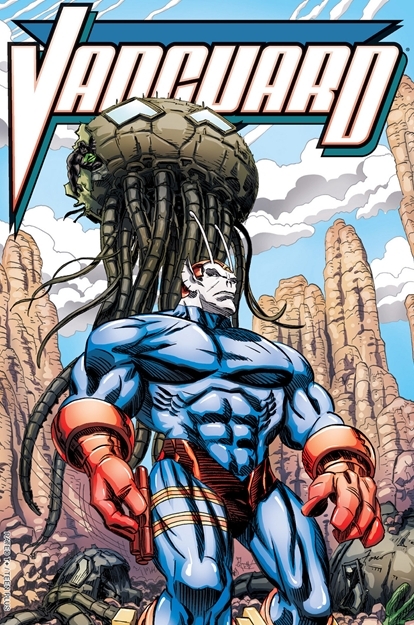 Ethrian apologizes for his actions before announcing that one of Vanguard’s allies teleported to his Powerhouse citadel after his ship’s explosion, giving Vanguard hope that Wally survived the blast.